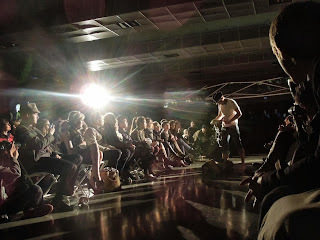 Eco Fashion Week Teaser - Flashback to last season!!!! All images by Peter Jensen Photography, unless otherwise noted. This image is one my own - a favourite! Another season of Eco Fashion Week is almost upon us. What a perfect time to take a look back at last season. There were so many great memories and wonderful collections seen. Below I have images from some of the many shows that graced the runway as well as the promotional video by Nicole Bridge who opened EFW last season and will be doing so again on October 6th - tix here. I didn't include Merely Me as there are lots available in the article I wrote for Raine Magazine - Locally Centered But Globally Minded. While all of these designers are not returning, there will be many new ones to offer us another view of fashion. One of my absolute, hands-down favourites each season is the 68 Pound Challenge. Last season designer Kim Cathers (her second year taking on this challenge) created an entire collection out of knit sweaters and deconstructed men's suits. It blew the audience away. More than one woman could be heard wanting a cardigan sweater skirt or a one-shoulder sheath dress created from a pair of men's pants. This season Evan Ducharme will be stepping into this roll. I can't wait to see where he will go with this creatively. Another staple every year is the Value Village Thrift Chic Challenge where three fashion stylists create collections by shopping at Value Village outlets limited by a strict budget. They have to come up with everything right down to the shoes and accessories. Kenneth Wyse, Dandilion Wind Opaine and Claire Bouvier are stepping up to the plate this season. With such diverse aesthetics, this show promises to be quite interesting. Please enjoy the great selection of images below and I hope to see you at EFW this coming week! The venue is downtown at the Robson Square Ice Rink. 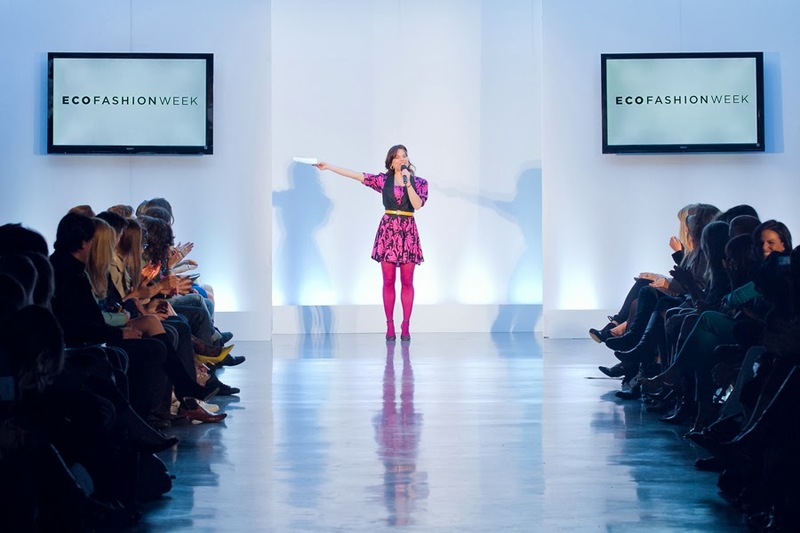 A schedule is availabe online at http://ecofashion-week.com/schedule.html. 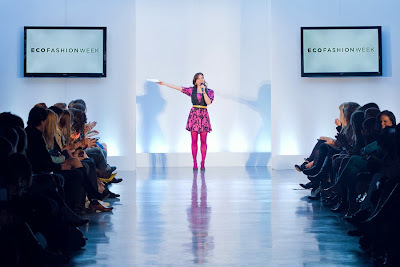 For designer, sponsor, press, buyer and volunteer information go to http://ecofashion-week.com/contact.html. Tickets for Nicole Bridger's opening night share are available from Blueprint Events. Tickets for all other shows are available through Tickets Tonight. Nicole Bridger video on her S/S 13 collection.